Doxie Keller paints nine shirts in record time. You see how each shirt develops & get tips on how to use unusual painting tools for the job. 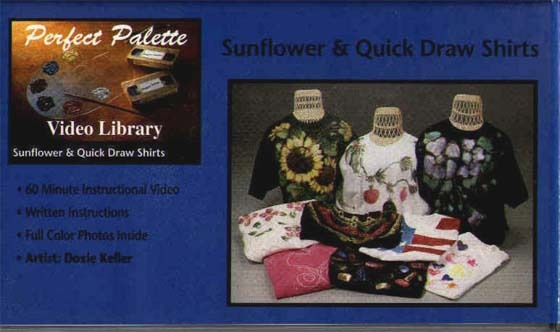 She also paints a sunflower shirt which is quick & easy to do. 60 min.